September is the time of year that country clubs become ghost towns in Southern California&apos;s Coachella Valley. It&apos;s still too hot for tee times at the valley&apos;s golf courses with temperatures often soaring to the century mark. 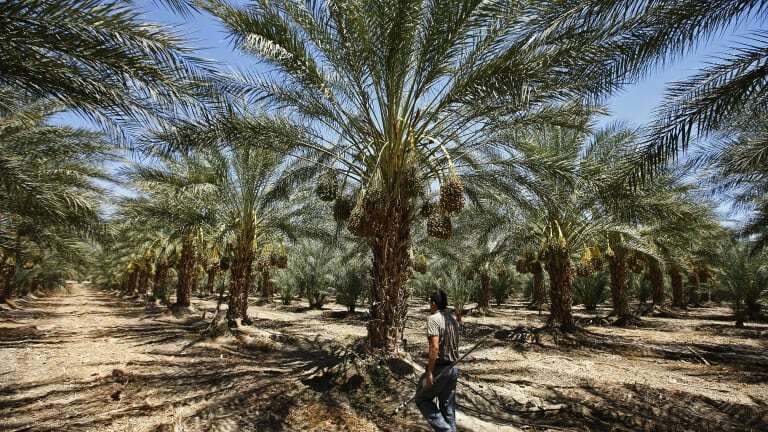 And while most tourists aren&apos;t flocking to posh Indian Wells or parties in Palm Springs, it&apos;s the busy season for the region&apos;s other industry: date farming. There are veritable forests of date palms growing here—tufts of green feathery fronds poke the horizon in almost every direction. Ladders dangle from 80-foot trees, awaiting ascension by palmeros who will spend months picking most of the country&apos;s date supply—some 44 million pounds. All along the California coastline, city officials are playing a cat-and-mouse game with RV dwellers, crafting legislation that effectively forces them out of town. The Coachella Valley stretches 45 flat miles from the base of the Santa Rosa and San Jacinto mountains to the Salton Sea, a saline cauldron that&apos;s slowly shrinking back into the desert. In the journey from the valley&apos;s west to east, Coachella&apos;s dueling economies and realities are evident. Out here in the desert, landscaped yards and gated communities give way to dusty lots in just blocks, and the line between haves and have-nots is stark. The west side of the valley sports more than 100 golf courses, the east side more than 100 mobile home parks occupied mostly by farmworker families that pick dates, table grapes, and other crops. Yaneth Andrade, an outreach coordinator for the non-profit Pueblo Unido Community Development Corporation, knows the exact moment she has crossed over from one side of the valley to the other: It&apos;s where the sidewalk ends, she says. And with it, municipal services most Californians take for granted: clean drinking water, adequate sanitation, reliable electricity. "A lot of people know the Coachella Valley as a place where [President Barack] Obama plays golf, or people around the world come for Coachella Festival, where college youth come and have fun," says Mariela Magana, a policy advocate with the Leadership Counsel for Justice and Accountability, which has an office in the valley. 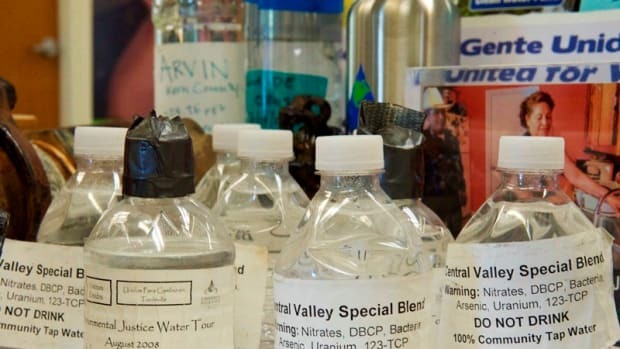 What people do not generally know about the Coachella Valley is that it is the trailer park capital of California, home to at least 10,000 people, mostly farmworkers, living in scattered mobile home communities that pose a unique challenge to efforts to provide safe drinking water to all Californians. It&apos;s a seemingly intractable problem entwined with poverty, a lack of power—both electric and political—and living conditions most often found in developing countries. 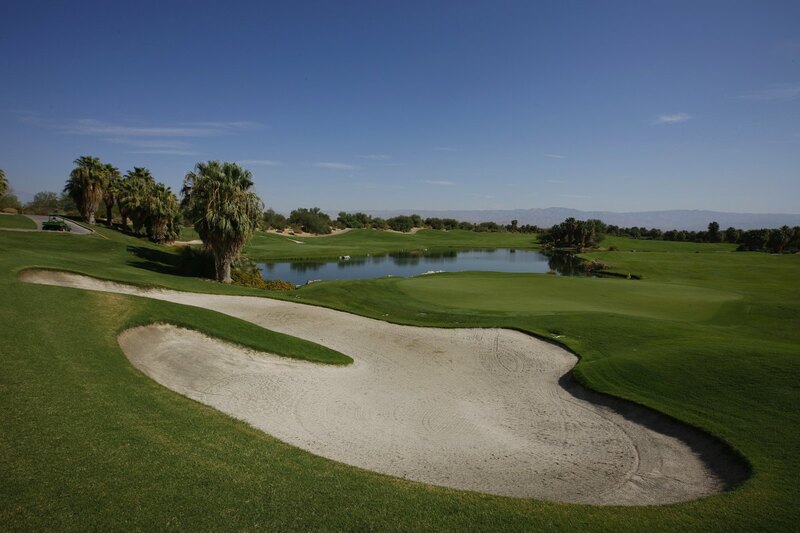 A golf course in the Palm Desert in Coachella Valley, California. Change, however slow, is coming, though. The state&apos;s first-ever Disadvantaged Communities Infrastructure Task Force was formed in February to create a coalition of non-profits, water agencies, elected officials, and other stakeholders that are now working together to tackle the valley&apos;s most pressing water and infrastructure needs. But there is a lot of work to be done and a limited amount of money. And, for some, living conditions are dire. "The reason their housing is so crappy is so we can have cheap food," says Robert Solomon, a University of California–Irvine law professor, of the farmworkers who inhabit the eastern Coachella Valley&apos;s sprawl of mobile homes. "People are living where they live because it&apos;s the most efficient place for them to live and they want to be stable and they want their kids to have a chance and they work unbelievably hard for not much money." 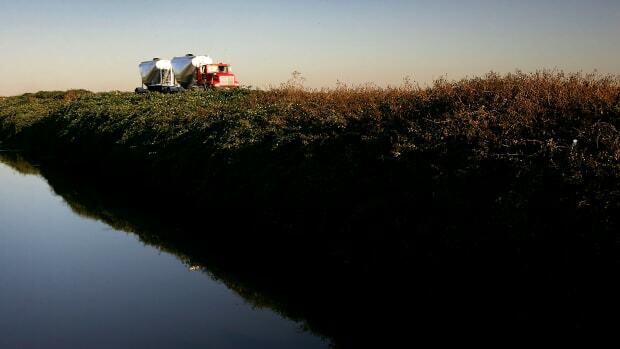 At the heart of the region&apos;s water problem is a lack of affordable housing—not uncommon in other areas of the state, like the San Joaquin Valley, with large concentrations of agricultural workers. But here the manifestation is slightly unique. With a lack of affordable housing in the area, farmworkers teamed up to create informal cooperatives, says Sergio Carranza, who founded Pueblo Unido in 2008. "Once they acquired the land they set up their mobile homes and built their infrastructure with their own knowledge," he explains. "That is great and commendable but the issue was many of them did not follow local permit processes. Consequently, they ended up building these mobile home parks without codes and they are in violation." Most are small parks of 12 units or less, but some may have 100 or more units. (The mobile home communities are known locally as "Polanco parks," named for Richard Polanco, a state representative who sponsored 1992 legislation to spur the creation of affordable housing for farmworkers.) Many of the parks have leaking septic systems, unreliable electricity and unsafe groundwater wells, often contaminated by high levels of naturally occurring arsenic in the aquifer or other contaminants like bacteria from septic systems. 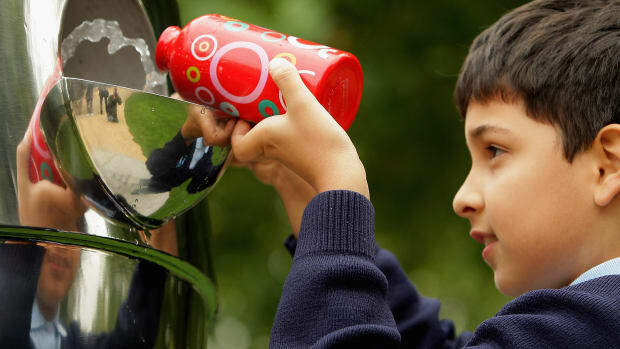 "As soon as families found out [about water contaminants] they began to rely on bottled water and some other forms of commercial water for their own consumption," Carranza says. "But that creates another problem for economics and financial issues." Andrade is driving past an empty, weed-choked lot that was the former site of a 40-acre mobile home park called Duroville that helped call attention to the region&apos;s infrastructure and housing crisis. "Duroville opened the Pandora&apos;s Box to all these issues," she says. 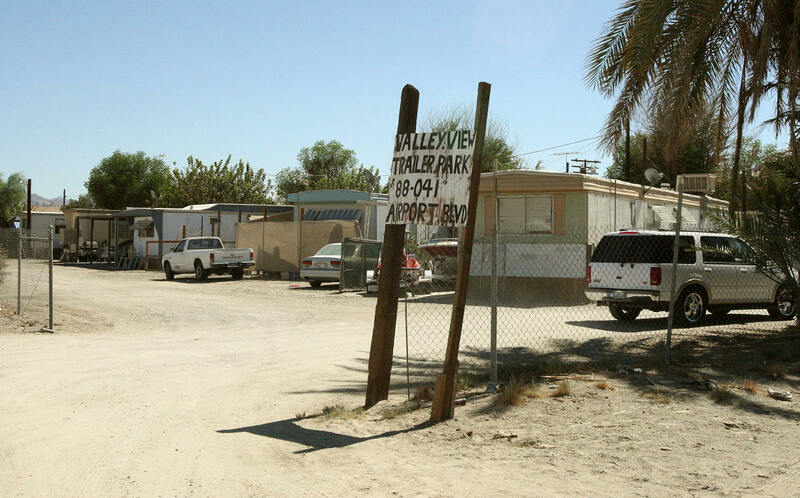 Conditions were so bad in the now infamous park, which had about 300 units on land belonging to the Torres Martinez Desert Cahuilla Indians, that it was shut down in 2013 after a decade of legal battles. 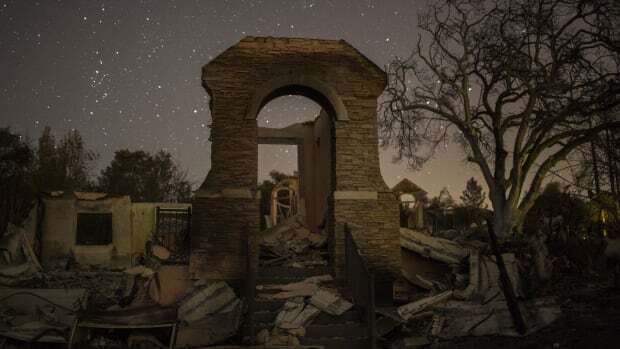 Accounts described life in the park as one of squalor, where unsafe electrical lines created fire hazards, raw sewage ran in the streets, and residents lacked hot water, according to the Associated Press. A court-appointed receiver who oversaw management in the park&apos;s final years as it was closing, described it to the local press as having "Third World safety and health issues" he had never before seen in the United States. Despite the dangerous conditions, Duroville&apos;s closure took so long, in part because it displaced several thousand people and it took years for the county to find alternative, affordable housing. Many of Duroville&apos;s former residents ended up at the newly built mobile home park, Mountain View Estates, about six miles away. One of the biggest lessons learned from the crisis at Duroville was that it was not an isolated case, Andrade says. Although many of the area&apos;s mobile home parks are much smaller, they too oftentimes have unsafe water, electrical, and sanitation infrastructure. In a 2015 op-ed in the Los Angeles Times, Solomon, who co-directs the UCI Law School&apos;s Community and Economic Development Clinic, wrote, "I have spent the majority of my professional life trying to keep people in substandard housing." And that&apos;s because California doesn&apos;t have enough affordable housing, he says. The UCI law clinic stepped up in 2011 to represent residents of Shady Lane mobile home park, an unpermitted property that had 53 units on acreage zoned for 40, in the valley&apos;s unincorporated community of Thermal. After the original owner of the park died and left the property to his children, conditions slowly deteriorated, says Solomon, until the new owners sent a one-year closure notice to residents saying the county was requiring repairs of more than $1 million, which they couldn&apos;t afford and so they were planning to shutter the property. "We sought to litigate to keep the park open," says Solomon in an interview. "On behalf of our clients, we formed a non-profit corporation, Shady Lane Mobile Home Park, Inc., to purchase the park." They officially took over ownership on September 6th, 2016. The park came with "enormous drinking water and sewage problems," he explains, and they received a grant of $250,000 in 2016 from the state to help tackle some of those issues. The grant covers planning and design to connect the park to Coachella City Water, the nearest municipal system. But Solomon says the design process will take several months more, and then it will be a few years to finance and complete construction. One of the many trailer parks catering to undocumented workers in Thermal, California, an hour and 30 minute drive to the Mexican border. Thermal and the surrounding unincorporated towns share the Coachella Valley with the world-class golf resorts and private clubs of Palm Springs less than 30 miles away. "The county may see horrible housing but unless it&apos;s life and death, even some health and safety issues are going to be ignored because any housing is better than no housing," Solomon says. Dottie Merki, the public information officer for the Riverside County Department of Environmental Health, says the county tries to take a balanced approach and give time for compliance but they "can issue compliance orders, or citations and fines to park owners if it comes to that." And the department has "worked with code enforcement, other county agencies and local politicians to gain compliance on unpermitted parks and have worked with the local municipal water district to explore consolidation options for water systems and partnered with local non-profit agencies." Growing up in a mobile home park in Thermal, Magana of the Leadership Counsel says she knew they couldn&apos;t drink the water from the faucet but she never questioned why. "Now that I&apos;m older and I&apos;ve come back and I&apos;m looking at the community with a different lens, I think it&apos;s changed, there are different investments that are taking place—but it hasn&apos;t changed a whole lot," she says. "We are having these different parties get together to solve drinking water problems," Magana says. Pueblo Unido, for instance, has a Polanco rehabilitation assistance program that helps mobile home park owners make improvements to meet health and safety codes. The organization currently provides technical assistance to 41 mobile home park owners to help fix issues such as leaking septic systems or water treatment systems. So far, they have also helped install more than 160 point-of-use reverse osmosis filtration systems, which are under-the-sink water treatment systems that remove arsenic and other contaminants, Carranza says. Water conditions at mobile home parks vary—some residents may have filters at their homes, and sometimes it is the residents that are responsible for the costs of paying for new filters that need to be regularly changed, and other times the park owner will incur those expenses, Andrade says. At the Gamez mobile home park in Thermal, owner Margarita Gamez offered to use grant money to install point-of-use systems for residents if they&apos;d pay for the filters, but the residents declined, she says. And so she put a central reverse osmosis system next to her home that residents can use to fill containers with clean drinking water to haul back to their units. But reliable power is needed for the system to pump and treat the water. "When there is no power, everything will shut down," Gamez says through a translator. "If one thing fails [with the electrical], then the water is also affected by it." Next door to her park is the Vargas mobile home park and adjacent San Jose Community Learning Center, which provides a place for kids to do homework and use computers, and a community center for public events and classes. There, Pueblo Unido is piloting a new system that will centrally treat water and distribute it to individual homes so residents won&apos;t have to haul water or use point-of-use systems at each home. Guadalupe Rosales Ramirez moved into St. Anthony&apos;s mobile home park 16 years ago and there were always problems, she says, through a translator. There were power outages in the summer, when it rained the park would turn to mud and periodically the water would cut out. But the owner would reduce prices on electricity, bring in gravel to cover the mud, and get a tanker truck for emergency water supply, she says. "There were problems, but they were resolved right away." St. Anthony&apos;s, in the unincorporated community of Mecca, actually began decades ago as a fish farm (although that business didn&apos;t last) and trailers were added over the years until it grew, unpermitted, to about 100 units. Some residents enlisted legal help from Community Rural Legal Assistance to sue over conditions in 2010 and the owners who were facing bankruptcy agreed to sell to Pueblo Unido. Under the terms of the settlement, finalized in 2013, Pueblo Unido was given five years to meet certain targets for improving infrastructure and bringing the park up to code. Carranza says the park came with numerous problems when they took over ownership that they&apos;ve worked to address. He says they have installed a new electrical system and problems with outages are the result of residents illegally plugging in more than the electrical pedestal for each home is designed to accommodate. "They were using 100 amps and that is dangerous, the electrical wiring is rated for 50 amps," he says, adding that too much power trips the breaker as a safety measure. Ramirez says residents had high hopes that things would improve, but, in her opinion, it&apos;s gotten worse. When problems arose with electricity shutting off or flooding, Pueblo Unido wasn&apos;t responsive, she says. And monthly electricity bills now rival rents at around $200–300 a month, she adds. But there are other issues besides electrical problems. Pueblo Unido has worked to tackle the park&apos;s biggest water problem—naturally occurring unsafe levels of arsenic. The organization rebuilt the well, which was collapsing, and installed a centralized reverse osmosis filtration system. The filtered water is not pumped to people&apos;s individual homes; they have to fill containers from the well house. Ramirez says many residents still don&apos;t trust the water and instead purchase bottled water for drinking and cooking. Pueblo Unido has secured funding for construction, which will begin soon, on a sewer extension that will connect the park to a municipal system. The long-term vision for St. Anthony&apos;s is to build it out to 134 units, with new infrastructure, a learning center, playground and green space, Carranza says. "But the rehab is taking longer." Carranza calls the claims "false and misleading," saying, "We presented all the evidence to show the court that we have been addressing all the issues of the settlement agreement. However, the problem has also been with the [county&apos;s] permitting process—it has been very inconsistent and they don&apos;t provide clarity and their interpretation of the code has been arbitrary." On August 28th, the judge issued the case continued, setting another hearing for February 1st, 2018. By December 29th, Pueblo Unido will also submit a status report and plan for rehabilitation. Castulo Estrada grew up in a mobile home park in the unincorporated community of Oasis. In November of 2014, he became the first Latino elected to the board of directors of the Coachella Valley Water District in an election that represented a shift in direction for the agency and the valley. Previous elections to determine board members were done by at-large voting, where the whole district votes for open seats—a system that marginalized Latino communities on the poorer, east side of the valley who never saw members of their communities elected, Estrada says. The water district changed its rules to allow five different subregions in their service area to each elect their own representative. Estrada&apos;s election to the water agency board is part of a larger cultural change that Carranza says is helping to drive more attention and resources to valley communities. There is now a young generation of Latino leaders at all levels of government—Riverside County supervisor V. Manuel Perez, state assembly member Eduardo Garcia, and U.S. representative Raul Ruiz—who all grew up in the community and now are political leaders. "In addition to fact that they grew up in Polanco parks, their parents are farmworkers, which is the case of many elected officials in Sacramento now," Carranza says. 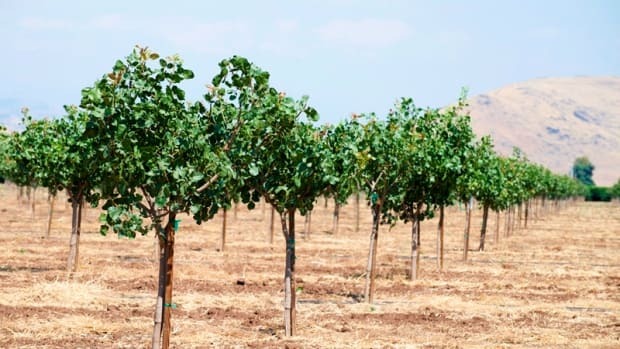 "That&apos;s why we have experienced a shift in public policy toward creating better alternatives and additional resources to be invested in rural areas in California." That, in combination with a more educated and active Latino population and better-organized activist groups, has helped create a powerful movement, he says. As soon as Estrada, who has a degree in engineering, joined the water board he focused on unsafe water in mobile home parks and created the Disadvantaged Communities Infrastructure Task Force. The task force brings together representatives from the water board as well the Riverside County district supervisor&apos;s office, assembly member Garcia&apos;s office, mobile home park owners, and non-profits such as the Pueblo Unido Community, Building Healthy Communities, and Leadership Counsel for Justice and Accountability. "State money is not enough, typically for one project, one mobile home park, but if you can create a benefit where you are consolidating four or five [parks] within one project, you can show there is a regional benefit, you can compete for federal grant funding," Estrada says. Necessary upgrades to water infrastructure will cost in the hundreds of millions of dollars, Estrada says. For instance, just one recent project to extend a sewer line to a single mobile home park cost $3 million. And he says, there are also capacity issues as service areas are extended. 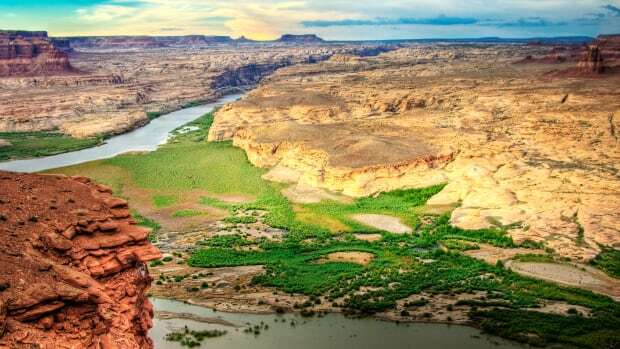 Water agencies may need to drill new wells, add more water storage, or endure higher costs from treating more water—most water agencies have to treat for chromium-6, arsenic, or other contaminants in groundwater. "We are in need of some mechanism for funding," Estrada says. "All of this is carried on the backs of grants," which is insufficient in the long term for adequately solving the problem he says. "It&apos;s going to take everyone wanting to achieve the same thing," Estrada says. "It&apos;s providing safe drinking to folks who don&apos;t have it, providing adequate sanitary infrastructure and everyone needs to work together to get over obstacles."